Most of these revolve around the custom applications that the CyanogenMod team adds to Android, though a few are more essential. Some of the more notable changes include a left-handed navigation bar for smartphones, accelerometer support for some devices, new fixes and tiles for the Quick Settings menu, and a transparency setting for the volume panel. Most are smaller changes that won't be apparent from a user perspective. 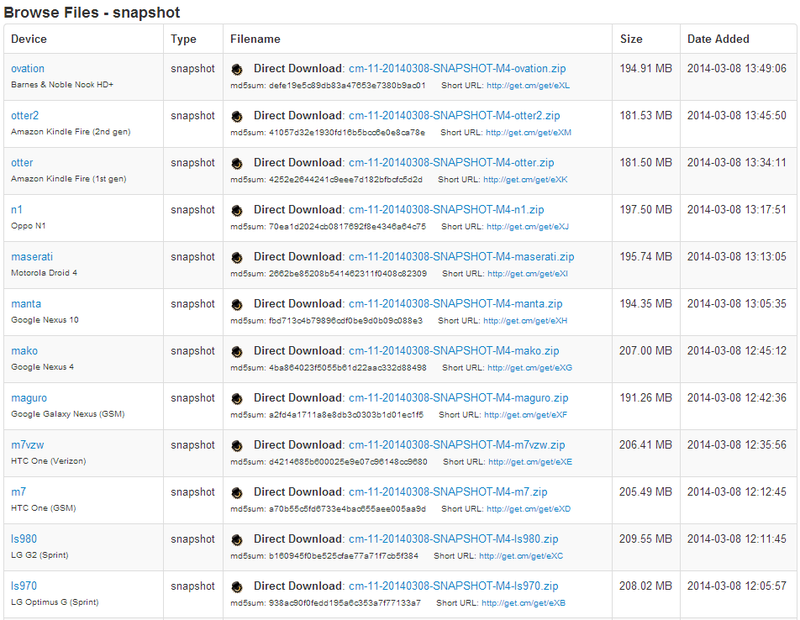 The M4 builds have been rolling out from the CyanogenMod build boxes for the last few hours. Builds are created in alphabetical order by device code name. Some of the more notable devices with builds available at the time of writing are the Nexus 4, Nexus 5, Nexus 7 and N7 2013, Nexus 10, Nexus S, Galaxy Nexus, Galaxy S4, Galaxy S III international, HTC One, LG G2 (international, T-Mo, AT&T), and the LG G Pad. It looks like they're about 70-80% through the CM11 support list. As always, the CyanogenMod team may add more devices at any time. If you're already on a CyanogenMod 11 ROM, you should be able to flash it over your current ROM with no trouble. If you're on anything else, you should do a full wipe and flash over your phone, adding Gapps if you want. In all cases, a Nandroid backup from your custom recovery is recommended. Happy flashing. Update: At least some users are having issues with the initial release. Again, remember to make backups before flashing new software. Another update: the CyanogenMod team has posted an in-depth explanation of the rationale behind the M snapshot builds. It's an interesting read, but the gist is this: the code in the M builds my be behind the latest nightlies, so don't try flashing one if you've already flashed a nightly build that's newer. 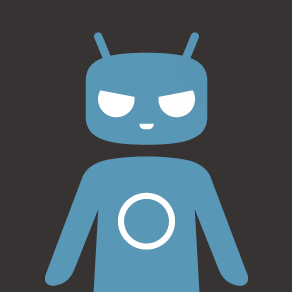 Check it all out on the official CyanogenMod blog.